From our Colour My World Collection, Gravure Commitment by Atlantic brings you this modern, yet understated beauty: a seamless tubing blank diamond cut on a CNC machine with precision European diamond-tipped tooling. 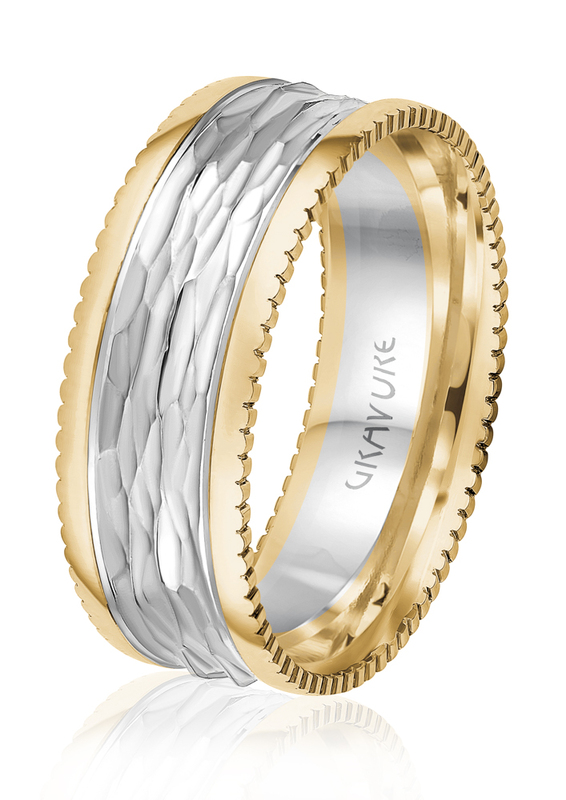 This 8-mm bevelled edge band is comfort fit and set with 30 x 0.01-carat diamonds SI/G-H. 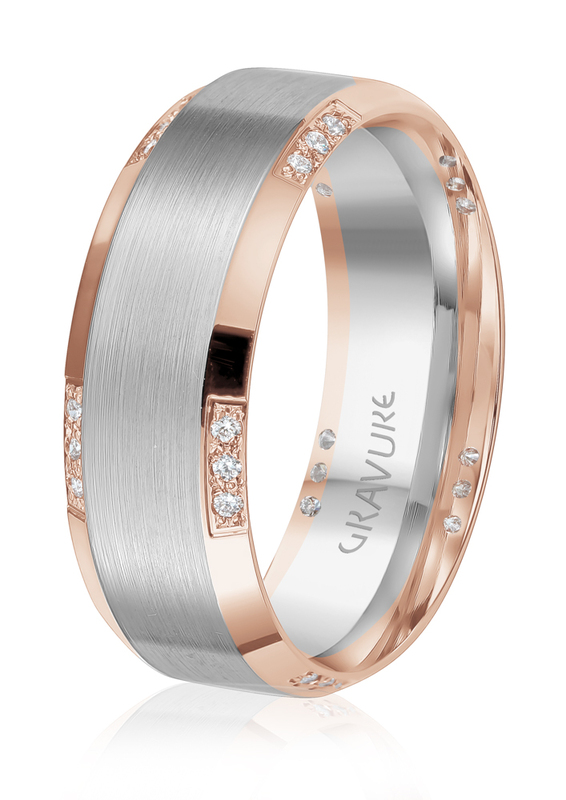 Available in 10-, 14-, and 18-karat rose and white gold combinations. 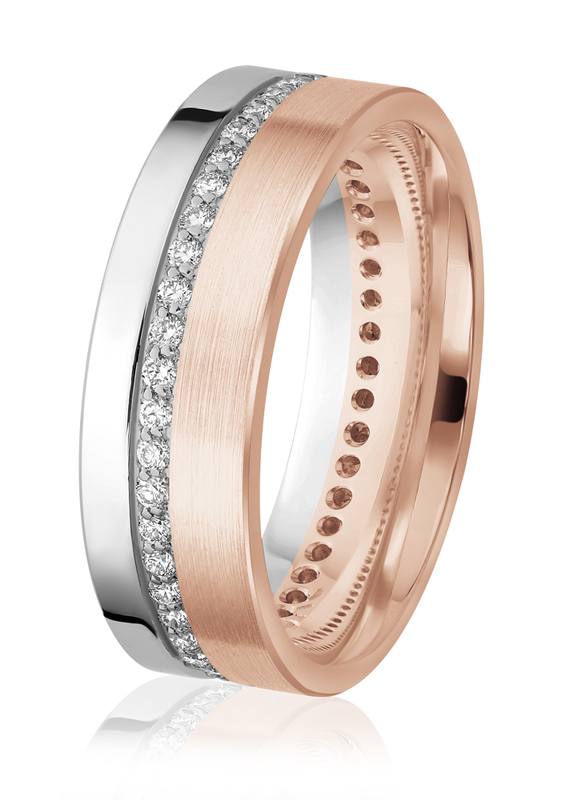 As with all Atlantic products, this ring can be customized in terms of width, colour combinations, and amount of diamonds. Leon Peres believes in travelling light, although he sometimes has little choice in the matter. If you've caught him visiting a jewellery store, it's likely because he's hosting a diamond-cutting event for Ofer Mizrahi Diamonds, for which he serves as senior vice-president, marketing and business development. One semester of university was all it took before Shay Basal knew the diamond business was his calling and his dreams of being a dentist a thing of the past. Despite their long history, retail sales of diamonds are slowing down globally. There are several factors contributing to this, but the Canadian retailer is hit especially hard because of changing consumer attitudes and population demographics.